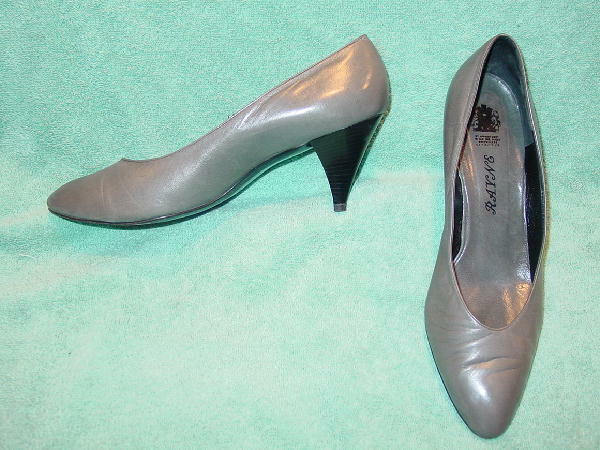 These vintage dark gray leather pumps have modified rounded toes. They have black leather linings and dark gray leather insoles. There are black faux woodgrain stacked heels. They have nice soft leather. There are some light scuff marks. They were made in England.